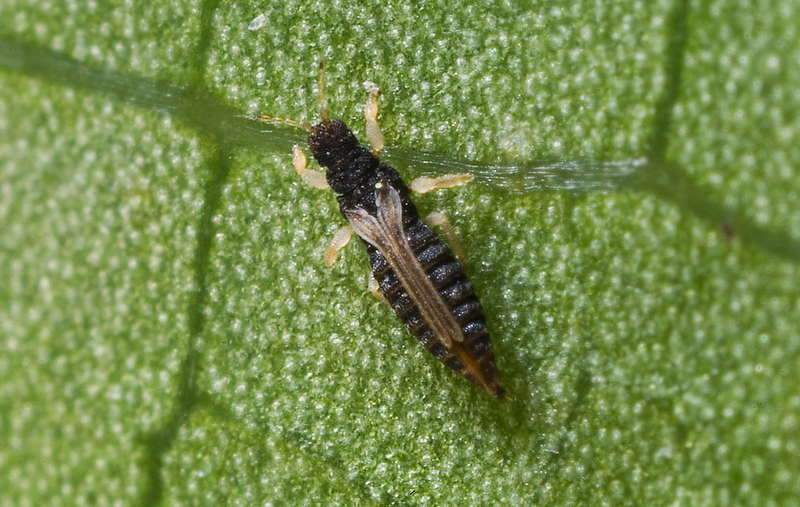 Six-spotted mite (6SM) primarily feed on the underside of leaves, concentrating its activity adjacent to leaf veins. Control requires targeted chemical, cultural or biological measures. Temperature extremes (hot or cold) as well as a range of natural enemies often maintain these mite species at low levels. Short stalk on the upper surface. Silk webbing may also be present around eggs in heavily colonized areas. 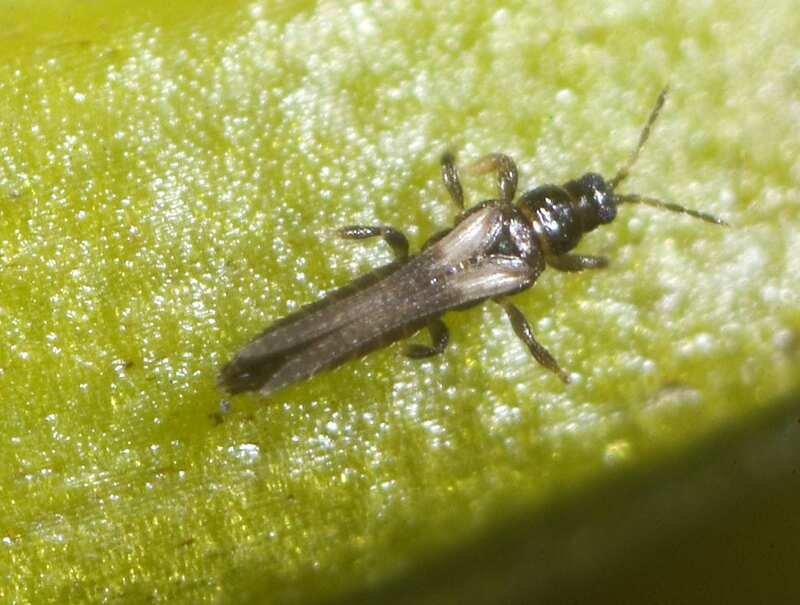 Very small – about 0.3mm long but easily visible with a 10x hand lens. 3 pairs of dark spots on their upper surface. However, these dark spots can sometimes be indistinct so despite the mite’s common name, the number and shape of these markings may vary considerably. Many long hairs or bristles are also present on the upper body surface. The female is plump and oval in shape while the male is smaller, thinner and has a tapering abdomen. 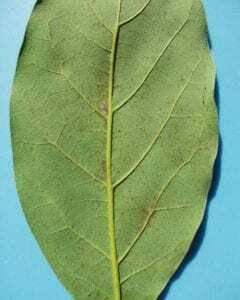 Feeding appears as irregular purple discolouration next to leaf veins. 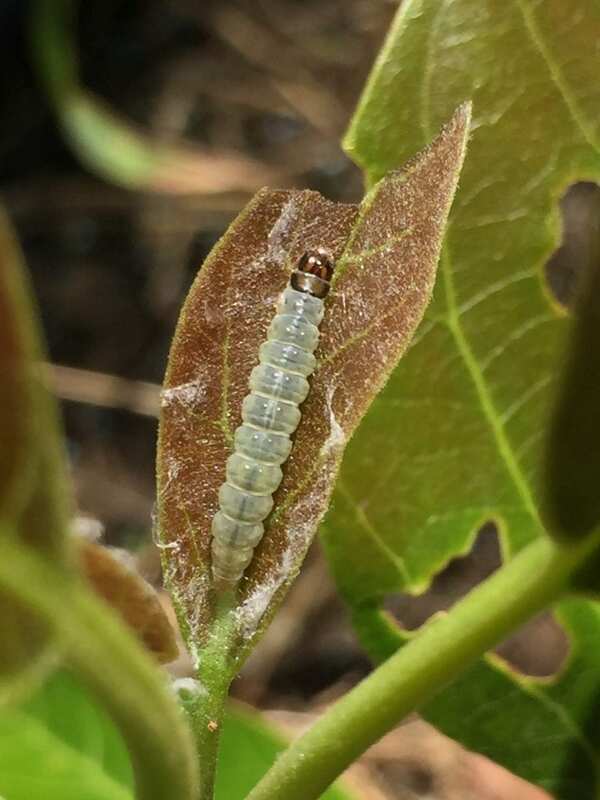 Heavy infestations result in severe defoliation. The mite overwinters on evergreen hosts such as citrus and avocados in all life cycle stages. The whole life cycle takes place on the underside of avocado leaves. Adult females lay about 25-40 eggs over 10-20 days. The eggs take between 5 days to 3 weeks to hatch depending on temperature. 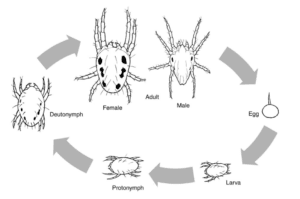 Once eggs hatch, mites pass through three immature feeding stages before becoming adults. 6SM mites can undergo very rapid population increases in suitable conditions. In all avocado regions of New Zealand, but worse in Northland. Can be erratically spread across a block. Most common from spring through to early summer, but have been found at most other times during the season. Numbers often fall naturally to low levels in mid-summer without intervention. Check for leaf discoloration and monitor for visible live mite colonies using a 10x hand lens. 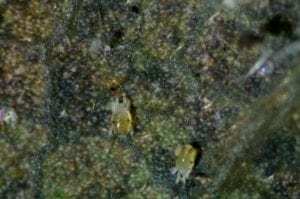 Leaf discolouration (purple) may be visible and may be the result of old infestation, therefore it is important that live colonies are identified. 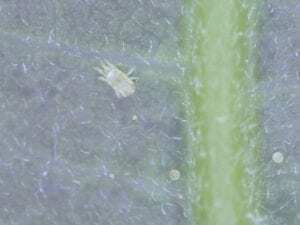 Monitoring should focus on areas where recent broad spectrum insecticide use has taken place where a lack of natural enemies may have provided the opportunity for mite populations to increase. Flowering is the critical time for control as high mite numbers and high plant stress can occur at the same time. Share the post "Six spotted mite"